Fresh Strawberries - Where to pick them or buy them in Cape Town. 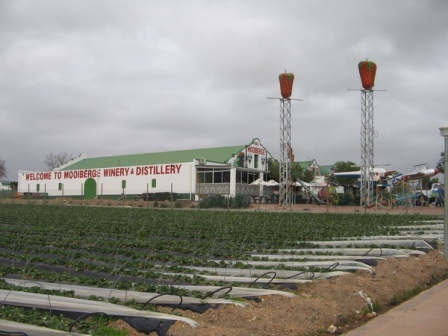 The places to pick strawberries in Cape Town are mostly in the Stellenbosch region. You are provided a container which you have to fill with as many as you can. Children obviously enjoy this and eat more than they add to the container. The Farms Mooiberge and Mountain Breeze lie within a few km from each other on the R44 and both offer great picking in season. Polkadraai Farmstall is on the Vlaeberg road between Kuils River and Stellenbosch while Helderberg farm, is situated on the Klein Helderberg Road, near Somerset West. All the farms have farmstalls where you can buy fresh and dried fruit and various home made treats. Mooiberge also sells wine. 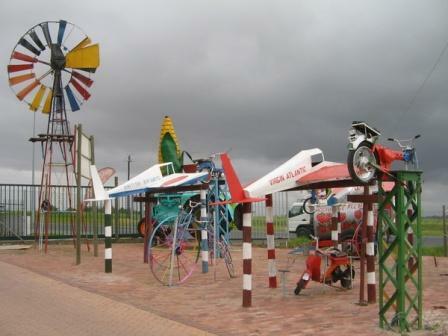 Children are catered for with swings and farm inplements on which they can climb and play. Polkadraai: Monday to Sunday from 09:00 - 16:30. 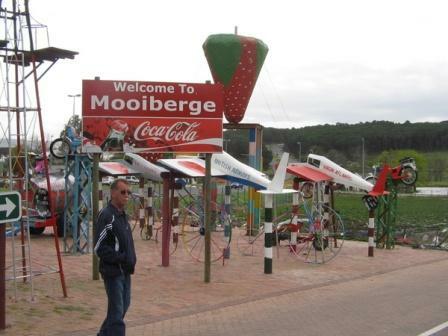 Mooiberge: Monday to Sunday from 09:00 - 16:30. Return from the Strawberries page to the Homepage.